Reverse micelles are used for the selective separation and purification of biomolecules, and for the synthesis of nanoparticles. Reverse micelles are nanometer-size droplets of aqueous phase, stabilized by surfactants in an organic phase. Reverse micellar systems have been developed using various organic and aqueous phases and surfactants. Nanometer-sized aqueous systems are used to carry out specific reactions for the development of materials of controlled size and shape. The size of reverse micelles is one of the parameters for controlling the size of nanomaterial during nanomaterial synthesis. The size of reverse micelles increases with an increase in water content, which results in larger nanoparticle. Reverse micelles are also used as nanoreactors for nanoparticle synthesis because they increase the reaction rate and the distribution of nanoparticles is more uniform. Here we review fundamental principles of formation of reverse micelles; the effects of reverse micellar system components on the size of reverse micelles; the effect of process parameters on selectivity and yield; the synthesis of nanoparticles using reverse micelles. The chapter also discusses the effect of process parameters such as type of surfactant and solvent, use of ionic liquids and temperature on the synthesis as well as properties of nanoparticles. 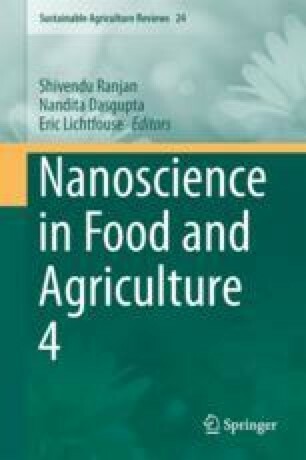 The first author would like to thank CSIR, New Delhi, for the award of Senior Research Fellowship. Authors wish to thank the Director, CSIR-CFTRI for the encouragement and support.